I walked in this morning to Phoebe saying “Hi Mom, Hi Mom, Hi Mom”…it was precious! She was sitting up visiting with her Aunt DeDe and playing with toys and her eyes were so open and alert, it was wonderful. I will have Nathan take some video of her tomorrow to post on the website. Phoebe and her favorite coin purse. The meeting today was fine, I’m not sure what I was expecting, but we didn’t really learn anything new. The main take-away was that Phoebe needs to continue to be weaned from the Vapo-therm breathing help and the extra pain meds she needs from time to time before she can move floors. She will continue to wean from the Methadone and Valium over a period of time and can do that on the HEMOC floor. I wasn’t expecting to discuss chemotherapy treatment in this meeting, but her Oncologist said today that they would like to go ahead and place the Omaya port in her head at the end of this month. This is the port that will deliver the Methotrexate directly to her tumor site. I almost broke into tears at the thought. Nathan and I have a lot of questions and concerns but I felt it was best saved for another day when we can meet one on one with the oncologist do discuss her treatment in depth. For now she is on a vacation from chemo and just focusing on recovery. Tomorrow morning she will have a dye test, where dye is placed into her NG tube and a scan is taken to make sure that the dye stays in all the right places. She has some fluid is her abdominal cavity that has been slow to reabsorb and since her tummy distension is an ongoing issue they are going to continue to search it out. Over all, Phoebe is doing great. She can say a few words but seems to have a difficult time forming them and that is probably my biggest concern. My prayer is that when she gets her swallow reflex back she will be able to form her words again. She is “all there”, just woozy from the Methadone and Valium, can follow instructions, can make a little smile, and she responds to us. I am trying to be patient in her recovery and it’s difficult. I’m so thankful for the progress she has made and for what God just brought her through and at the same time it’s difficult to see my Phoebe unable to tell me what she needs with words. Right now she is contentedly plucking blocks out of one bucket and placing them in another. I expect we’ll have lots fun tonight, it looks my 3 am party girl is back! PS. Don’t forget to watch Phoebe’s “Orange Popsicle” video on the side bar! Continuing to lift you all up to the Lord. Give us a 3am update! I seem to check my email more frequently as of late, just hoping to see a new blog post. It is wonderful to hear how everything is going. We are praying, praying, praying! I cannot wait for the day when I see a video of Phoebe walking out of that hospital with no need to return. I believe the Lord will heal her fully and that is my ongoing prayer. She is a treasure. Thank you for sharing a little bit of her with all of us. So glad that you finally were well enough to go get the best meds (next to Him of course) that either of you could ever ask for…each other! I love & miss you and continue to pray. We are planning to come up on Saturday on our way to Scott’s Mom’s house (1 yr. on Monday) for a family gathering. Glad to hear we’re on a respite for a bit from the chemo to give our girl some time to rejuvenate and for you and Nathan to have some time to pray “what’s next” through. Can’t wait to see everyone. Hugs! So, party girls, did you have fun? Just getting to see the pictures and videos of a healing Phoebe brought joy to my heart and I’ve been singing praise songs ever since! Whew! And now, hopefully, you will all get a little break away from the hospital – yea! 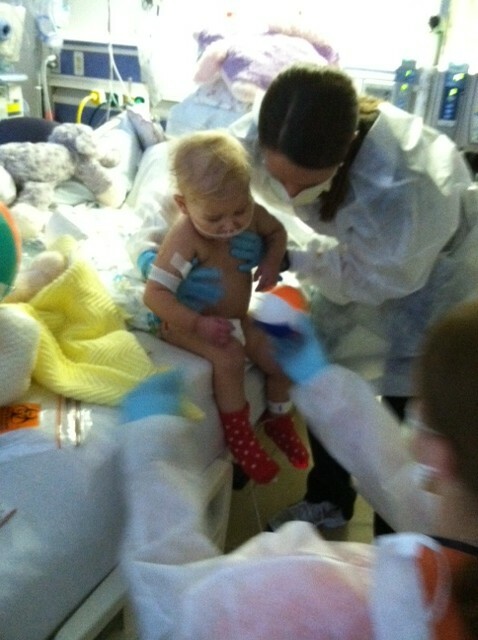 Phoebe is still being “Phoebe, God’s Little Fighter”, what a STRONG little girl she is!! How exciting it will be for you to get her home and for her to see her girly-room!! And for your whole family to be together….those big brothers will be glad to have their little sister home! 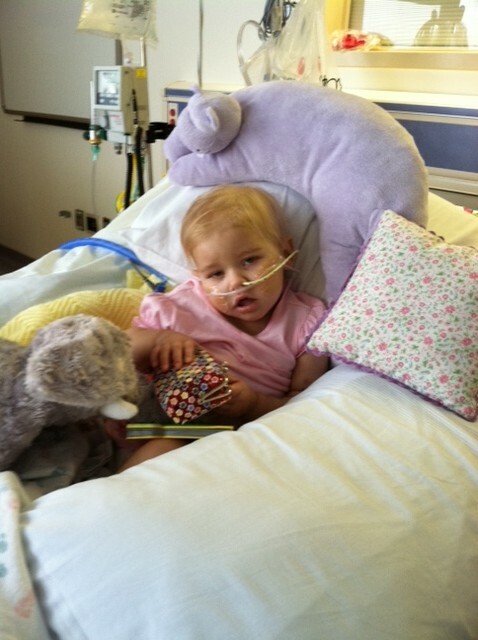 I know the enemy is still lurking about, but Phoebe’s Prayer Warriors stand firm in the Lord!! Much love to you all! I loved all the videos you’ve posted, they make me happy 🙂 What a great family you have and I love the orange popsicle one and also the one of Phoebe throwing the little things in her bucket…..she’s such a sweetheart! I’m so glad I can follow along on your journey. Sounds like you and your girl had a great night last night too. Love & hugs to you all! Hi Amey! We are rejoicing with all of you! The Lord is Faithful and Phoebe is back !!! As you mentioned in this post about the continues treatment, the port in Phoebe’s head, the only think we can say is to pray about that and follow your heart. We are so BLESSED to see what God has done during this time! He has HEALED Phoebe!!! we Praise Him! !